Buy this item and earn 103 points valued at £1.03. 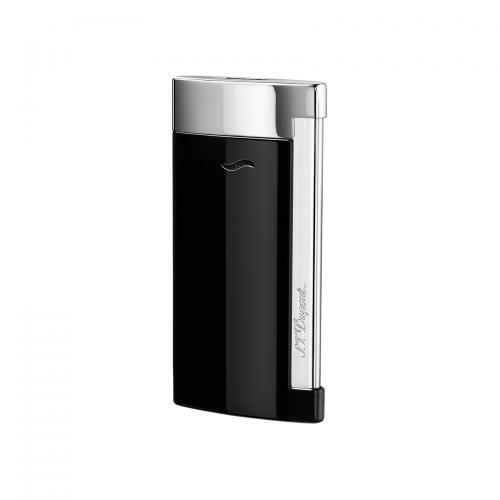 In keeping with its tradition of excellence and innovation, S.T.Dupont have created the world’s slimmest luxury lighter; the Slim 7. Only 7mm thick, the Slim 7 enters the world of ultra-thin technology products. This stylish accessory features a powerful, wind-resistant torch flame suitable for all conditions. Practical for everyday use and suitable for both men and women, the Slim 7 is without a doubt, a great gift idea those who love accessories that combine design and functionality.